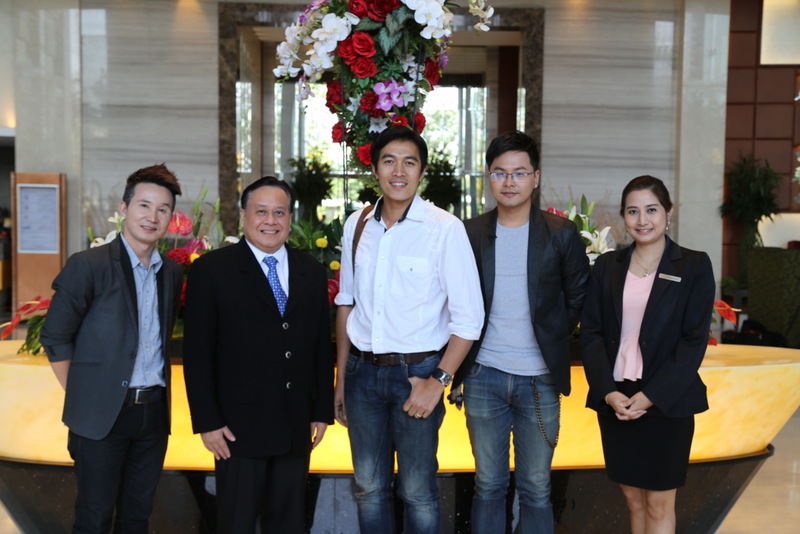 Mr. Peerapong Supourut, Hotel Manager of The Grand Fourwings Convention Hotel, recently presented a welcome to Mr. Sunti Pichetchaiyakul, Famous Sculptor of The World, on him occasion come to take service and VDO Shooting “Variety Show”. 1. Mr. Sunti Pichetchaiyakul was standing in the middle. วันที่ 7 มีนาคม 2559 เวลา 09:36 น.